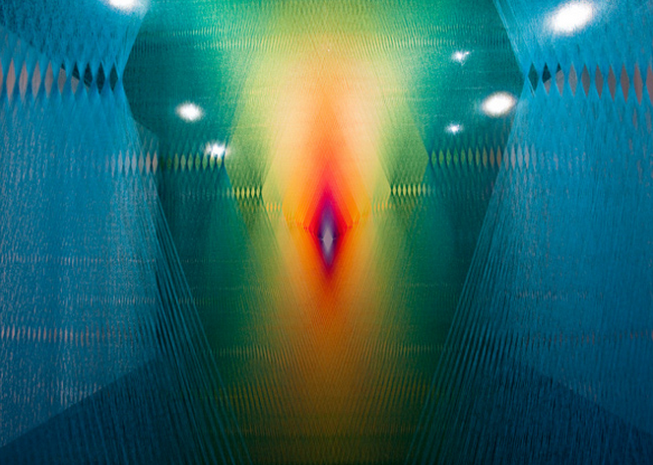 Another artist who draws from his Mexican culture is Gabriel Dawe. He creates HUGE 3D art using thick thread. Colours are very important to his artwork, and he often creates semi-transparent geometric rainbows. Click here for more images, and a youtube clip showing how he installs his artwork!